For a Freezing injunction, does a Claimant need “much the better of the argument”? On Reflective Loss, what is a “good arguable case”? On a Freezing injunction, a “good arguable case” is more than barely capable of serious argument, but not necessarily better than 50% prospects of success. The parent company’s alleged loss was the same as those of its subsidiaries. Under the reflective loss principles the parent company had no good and arguable loss of its own. The Court of Appeal has unanimously upheld a freezing injunction in a case involving alleged inter company frauds exceeding $150M. The Court considered issues relating to limitation, reflective loss, and the obligation on the Claimants to give full and frank disclosure on without notice applications. The injunction had been granted by Judge Mackie QC in the Commercial Court adopting a somewhat higher test requiring the Claimants to show they had “much the better of the argument“. The Court of Appeal emphasised the wide discretion of the lower Court, including all matters of alleged non-disclosure, and the Judge’s decision was well within the margins of discretion. The Defendants deny any wrong doing. No defence had yet been required from the Defendants, and Jackson LJ commented that “… it is only by a narrow margin that (the Claimant’s) case is strong enough to support their entitlement to a freezing injunction…“. He referred to “a very real possibility that the Defendants’ limitation defence will prevail at trial on the basis of Kazakh law“. That stipulated a three year limitation period. 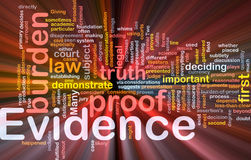 It was also pointed our that it is inherently unattractive for the Defendant to submit that the fraud should have been manifestly obvious, and yet at the same time to assert that he had a complete defence to the allegation (on the basis of the proceedings having been issued too late). The Court of Appeal emphasised that applications to discharge freezing injunctions should not turn into mini trials. The High Court had considerable discretion regarding allegations of non-disclosure. Any failures to give full and frank disclosure were unintentional and ultimately not material. The Court of Appeal commented that the question of when the Claimants had the relevant knowledge, which determines when the limitation period starts should not be usually be decided on an interlocutory basis unless the facts and circumstances were very clear. Although the injunction was upheld for £72M and this stays until the trial, the Defendant was successful in the cross appeal. According to the “reflective loss” principle, a shareholder cannot recover damages simply on the basis that the company in which the shareholder has an interest has suffered loss. Applying Johnson -v- Gore Wood [2000 UKHL65] Longmoor LJ found that it was well arguable that the claims were not time barred, but if they are, the subsidiaries ought to have been aware that their rights had been violated. In those circumstances the subsidiaries could not say that the inability to sue was no fault of their own. Accordingly, the parent company had no loss independant of the subsidiaries (the other Claimant companies). 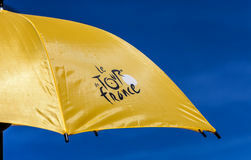 Tour De France is coming – Cultural learnings of Yorkshire make benefit! Some handy proper Yorkshire like cultural and TdeF tips! It’s an advert for the Holme Moss Campsite, but it’s still entertaining in its own right, and worth enjoying for 5 minutes! NB, in York itself, it is flat – the “Vale of York” – but otherwise exactly the same. Assume it was based on the memorable Yorkshire Airlines Ad some years ago, which led the way in terms of international consumer satisfaction outreach – Yorkshire style. If you never saw that 3-minute Video, click here for some preliminary acclimatisation! A recent High Court decision provides a warning to company directors who move abroad without updating their address for service on the register of directors. The claimants served the claim form on the defendant (a former director of the claimants) by delivering it to two addresses in England, which he had listed on the register of directors. The defendant disputed service on the basis that he was no longer resident in the United Kingdom at the date of service and neither address was his usual or last known residence. The court held that the defendant had been validly served with the claim form at the address listed on the register. This decision makes it clear that directors who choose to move abroad without updating their address for service on the register will leave themselves open to be served with proceedings in England, if an English address is still listed. Section 1140 Companies Act 2006. This permits a document to be served on a company director by leaving it at or sending it by post to the person’s registered address. This applies whatever the purpose of the document in question. The registered address is the relevant address in the register of directors available for public inspection. The case is a ground-breaking decision of considerable practical importance. There had been no prior cases considering the application of the section. The High Court decided that section 1140 allows a claimant to serve a company director with proceedings at the director’s registered address in the UK without seeking the court’s permission and regardless of whether (a) the proceedings concern that company or (b) the director resides outside the jurisdiction. This reminds me of a case where solicitors on the other side made an incorrect assumption that I was acting for both the first defendant (limited company) and second defendant (individual director, sued personally). It was clear however that I only had instructions to accept service on behalf of the limited company. I had to send back the proceedings meant for the Director. The claimants’ attempts at service on him failed, and they were out of time. They were unable to reinstate the proceedings against the director in this multi-million pound claim and the action against him was struck out. The claimants’ solicitors ultimately had to pay costs on that service dispute exceeding £20,000. In a recent landmark decision by the Supreme Court (the UK former House of Lords) the Law Lords unanimously rectified Mirror Wills on the grounds of clerical error. They overturned the rulings of the High Court and Court of Appeal, where a stricter interpretation had applied historically. The new approach, including where relevant, applying Commercial Contract Law principles to interpretation has been welcomed as a victory for common sense and flexibility, giving effect to the clear intention of the Testators. Mr and Mrs Rawlings were husband and wife who had made “Mirror Wills” in 1999, each leaving their estates to the other, with the survivor leaving their estate to Terry Marley, whom they treated as their adopted son. They had chosen to exclude from the Wills their two biological sons, Terry and Michael Rawlings. Unfortunately, they had each signed the wrong Will. This meant that neither Will was valid. This wasn’t spotted when Mrs Rawlings died in 2003. After Mr Rawlings’ death in 2006 the discrepancy came to light. The adopted son applied to the High Court for Mr Rawlings’ Will to be rectified. He claimed the couple clearly intended to leave their estates to him. The High Court ruled against him, deciding that the Wills were invalid. It was impossible to go behind that, therefore Mr and Mrs Rawlings’ estates passed to their estranged sons under the Intestacy Rules. On a strict traditional approach, their “Wills” could not be rectified by the Court, because neither document satisfied the strict minimum criteria to qualify as a “Will” under s9 of the Wills Act 1837. The document didn’t have Mr Rawlings’ knowledge and approval, accordingly the law on rectification was not applicable. The Judge also held that even if the document could be construed as a “Will”, she was not able to rectify it under s20 of the Administration of Justice Act 1982, which permits rectification where there is a ‘clerical error’, as this was usually limited to typing errors. The Court held that a document does not have to be a valid “Will” within the legal definition, nor have the Testator’s knowledge and approval for it to be treated as a “Will” and subject to rectification. In a much wider interpretation than had tied the lower Courts’ hands, the Supreme Court found that the couple signing the other’s Will by mistake did constitute a “clerical error” under s.20 of the Administration of Justice Act 1982. It would be artificially restrictive to perpetuate a narrow interpretation. The Court held that the Will should be rectified to contain the true wording of the Will Mr Rawlings ought to have signed. Although Mr Rawlings’ remaining Estate amounted to approximately £70,000, the ramifications of the judgment are wide ranging. The scope for the Courts to rectify wills and codicils on the basis of clerical error has been extended. The decision adopts a common sense approach to implement the true wishes of the Testators, although it obviously also underlines the importance of adhering to the strict execution formalities under the Act, which may be questionable with the popularity of DIY Wills. It remains to be seen to what extent this widening of ‘clerical error’ and the Contract Law innovation placing importance on the ‘intention’ of the Testator will impact interpretation of Wills in future. Although there are concerns that broadening the scope of ‘clerical error’ could “open the floodgates” of litigation, the judgment was highly fact-specific regarding Mirror Wills. The Courts are experienced in resolving borderline cases and justice demanded that the previous artificially narrow interpretations should be relaxed. There was compelling evidence of the deceased’s’ intentions and future cases are likely to be decided on the individual facts. The courts endeavour to carry out Testators’ clear wishes and the decision in Lord Neuberger’s judgment is in line with that principle where everyone is entitled to dispose of their estate as they choose. It is to be hoped that this liberalizing of interpretation and rectification will throw off the restrictive shackles that led to Terry Marley having to pursue two appeals before Mr and Mrs Rawlings’ wishes were realised. 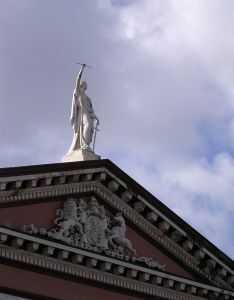 The Court of Appeal handed down two decisions in July 2011 in favour of HMRC. The decisions substantially restrict protection for Trustees under the longstanding Rule in Re: Hastings Bass  EWCA Civ 13. The Court of Appeal heard both cases together, commenting that some of the case law evolving from Hastings Bass had been incorrect. HMRC’s Appeals against the application of the Rule was allowed in both Pitt v Holt and Futter v Futter  EWCA Civ 197. In both cases, the action taken by the Trustees/Fiduciaries had been as a result of professional advice, but there had been unexpected adverse tax consequences. Previously it was thought that where a Trustee or Fiduciary had exercised a discretion mistakenly which resulted in unintended consequences, especially where acting with professional advice the court would exercise discretion and interfere with the Trustees’ decision. This would arise by applying to the court to have their decision or act rendered void or voidable. The Judiciary have over recent years expressed disapproval of the way that the Rule in re Hastings Bass was being so widely applied. The outcome is that it is less likely in future that Trustees will be able to avoid adverse consequences of the exercise of discretion by applying to the court for such problematic decisions to be set aside. Instead Trustees are more likely to be at risk of facing claims from Beneficiaries. In turn, the Trustees may have to face the more difficult prospect of considering a claim for professional negligence against their professional advisors. The rationale is that in relying upon professional advice, Trustees are not in breach of their fiduciary duty if it turns out that the advice given to them was materially wrong. The Court of Appeal held that in such circumstances the Trustees’ decision taken in reliance on that advice is not void or voidable and cannot be interfered with or “corrected” by the court. As such, Trustees who follow advice in particular on tax from apparently competent advisors would not be regarded as being in breach of their duties. Consideration was also given to the alternative ground of mistake, but it was held that the tests to qualify for the equitable remedy of mistake had not been fulfilled. The result is that the Rule in Hastings Bass is restricted to pure Trust principles. Rather than Trustees applying to the court on an uncontested basis, in future it is likely to be for the Beneficiaries to challenge the Trustees’ actions if they wish to have them set aside. “….. lie not in the realms of equity, but by way of a claim for damages for professional negligence ….”. It is understood that whilst the Court of Appeal refused the Trustees in Futter v Futter permission to appeal, permission may be sought from the Supreme Court.